So now that the word is out, it’d probably a good idea to give some details on my new book. That being said, here goes. 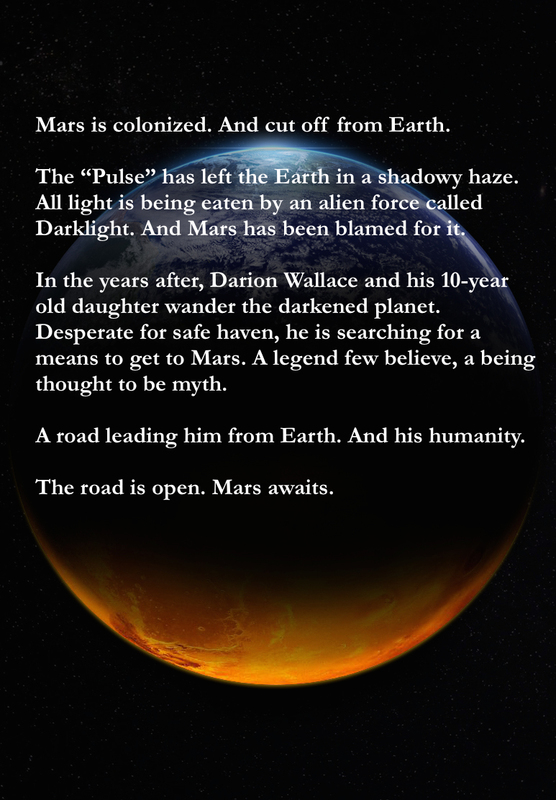 The title itself, The Road to Mars, comes from a concept I had about four years ago. Back when I was still exploring the notion of getting published (wow, that was a while ago!). The story was meant to be a post-apocalyptic tale, but with a twist. The twist being that I wasn’t attempting to write about zombies, a killer outbreak, or a killer outbreak which causes the zombies. Rather, I wanted a post-apocalyptic tale where all the light is slowly being “eaten.” Hence, that’s where the Pulse came into play. As you can read on the back cover, I give a hint as to what the “Pulse” truly is. And what’s causing it. In my story, Mars has already been colonized and has slowly formed itself into a quasi-utopian society. By the time The Road to Mars is underway, Mars has eclipsed the Earth in technology, wealth, and overall human welfare. There are no murders. There is only prosperity. And there is peace. I’ll leave the rest of the explanation for the faithful who will be reading it. I’d prefer not to give away too much on the topic. Just rest assured that this particular backstory will be delved into with greater detail. Be back with (a little) more at a later date. Till then, enjoy the weekend! Yesterday, I shared why I’ve been MIA for a few weeks. The month of November was not kind to me. From a health perspective, that is. Nor was it kind to my 5-month old son and my wife. Again, from a health perspective. However, I had to endure it the longest. And I’d rather be the one who’s sick than my wife or son (moms aren’t allowed to get sick, right?). Anyway, I said I had an announcement coming and guess what – I do. It’s pretty darn exciting. But, it’s also incredibly nerve racking. You see, I was MIA for the past month, but I’ve also been MIA from publication for about the last six. Or rather, I’ve been absent from anything more than a shorty story for more than a year. The reason being, I’ve been steadily working towards my first full-scale novel. 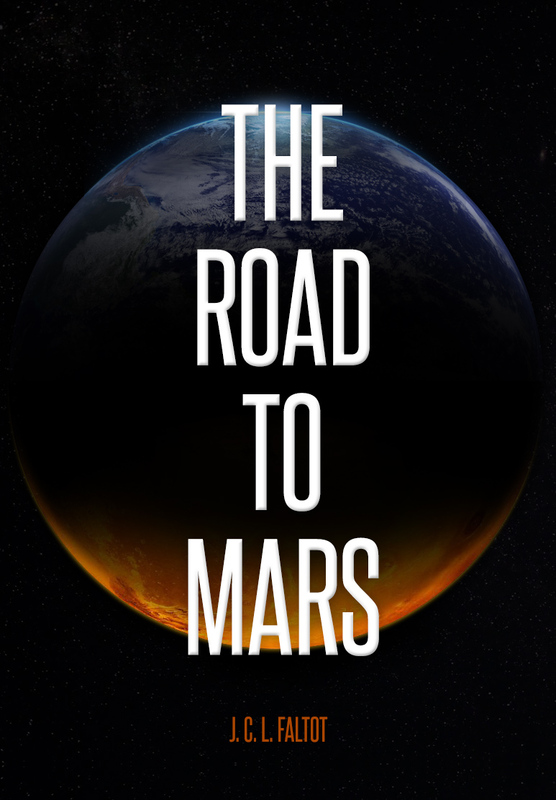 Called The Road to Mars, it’s a science fiction work and something I’ve had on my mind and my heart for a long time. It’s equally exciting due to a lot of the press Mars has been getting lately (what timing, eh?). So after more than a year of working / reworking / throwing it out / starting over / convincing-myself-I’m-not-crazy, I can finally say it’s done. And here’s a quick glimpse of the cover (thanks in part to my good friend, Immanuel Mullen). The release date is TBD as I’m not ready to “go live” with it just yet. However, I didn’t want to sit and not share the news either. In the coming days and weeks, I’ll be giving away more tidbits about the book and what to expect – and when to expect it. Until then, here’s the cover.